We have all be left with a deep sense of numbness following the horrific attacks in New Zealand last week. It was an act of terrorism designed to divide and weaken our society that has left at least 50 men, women and children dead – and dozens more left seriously injured. What followed was a wave of empathy and solidarity towards our community. FMO has been struggling to keep pace with the sheer volume of humbling messages of support from other faith groups, concerned individuals and our local authorities. They are all keen to help us, at this most difficult of times, cope with the loss of so many of our innocent brothers and sisters in Christchurch. 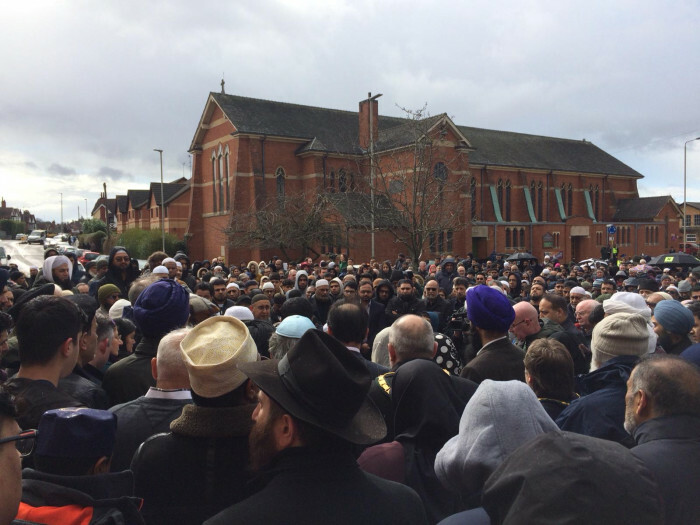 Sunday’s vigil and minutes silence outside Masjid Umar, organised by the FMO and Leicester Council of Faiths, saw hundreds of mourners from every corner of Leicester come together in solidarity. They represented many different and wonderfully diverse elements of our community. We remembered that we are all friends, we are all one human race and we should stand united against all such forms of violence. Those of us who were there on Sunday – and others who watched on from afar – will know that we all have a duty and responsibility to keep our communities united and safe. Only when we stand together will we defeat the hateful forces that seek to divide us. In Leicester we have been heartened to see the police stepping up patrols around our city’s mosques, inspired by our Sikh friends’ offers to stand guard as we pray. 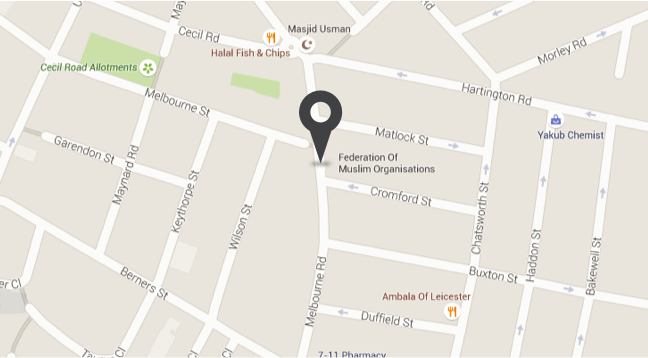 We’ve been touched by your calls, emails and acts of solidarity with the Muslim community. All these extraordinary gestures have given our community the strength to persevere. We will never forget your warmth, humanity and prayers. We will be there for you as you have been there for us. We are grateful to all those who have shared their support including; the Dean of Leicester, Leicester Cathedral, Sikh Council UK, The International Society of Krishna Consciousness, the Leicester Jewish community, The Sikh Welfare and Cultural Society, Sikhs and Faith Community, Shree Sanatan Mandir, Board of Deputies of British Jews, the Lord Lieutenant’s office, Police, local and central government and many more individuals and community leaders. © 2019 FMO All Rights Reserved.